Nishikoi Summer Growth Mix is an award winning formula which provides health, growth and colour for all koi and pond fish. It is a high protein, digestible formula containing a mix of pellets, sticks and flake. It has high performance colour enhancing properties and contains Vitamin C for a much needed summer boost for your pond fish to help protect them from disease. 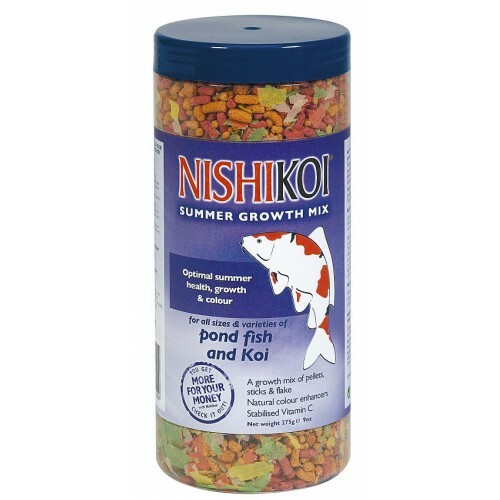 There are currently no questions for Nishikoi Summer Growth Mix Fish Food - be the first to ask one!